A: Ask for recommendations. If you know someone who’s been where you’re going see what they did. B: Book your hotel stay through travel sites like Hotels.com and earn money for your campaign. C: Check out world famous attractions like Ripley’s Believe it or not! D: Download the Campus Causes/Flipgive mobile app to monitor your campaign poolside. E: Expect the unexpected. Both traveling and fundraising can present lots of unforeseen challenges. F: Forge ahead. Although traveling and fundraising can be frustrating at times, if you keep moving forward it will be worth it in the end. G: Get outside. Nothing beats a hike in the woods or a day at the beach. H: Have fun! That’s what vacation is all about. I: Immerse yourself in the culture. If you’re traveling to another country this is a great way to understand what that place is really about. J: Join a tour group. K: Keep raising money for your campaign even while you’re on vacation. Fundraising doesn’t take days off. L: Leave early. It’ll give you more time to explore, or in a worst case scenario could even be the difference in making your flight home. M: Meet the locals. They’ll give you the inside scoop on great food, drinks and activities. N: Never say never. Traveling can open your eyes to so many new things, you just have to be open to experiencing them. O: Offer to plan the next trip. This makes it easier on your group plus you get to have the final say. Q: Quit waiting. Summer is short, start planning your trip today! R: Rent a convertible. The only thing better than riding off into the sunset is doing it with the top down. 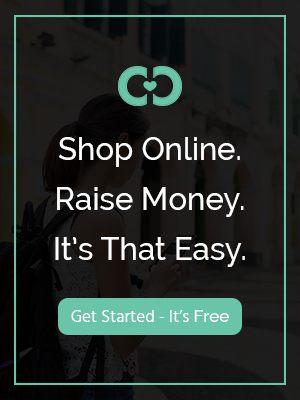 S: Shop and earn on the go. Capitalize on purchases you’d already be making. T: Try something new. You won’t know if you like something until you try it! U: Use time off to recharge. That way, once you’re back you can dive right back into your work. V: Venture into the unknown. Traveling is a great way to expand your horizons. W: Wear identifiable clothing. This will help your group stay together and can help raise awareness for your cause! X: eXchange currency ahead of time. Airports and exchange counters charge very high rates. Y: Your mindset is important. Stay positive with both travel and fundraising, neither are as easy as they may seem. Z: Zero. How many regrets you’ll have if you follow these travel and fundraising tips!